Hemoglobin is an iron-rich protein which contains oxygen-transport metalloprotein in our red blood cells. The hemoglobin in our blood cells is responsible for carrying oxygen in our whole body through lungs or gills. Hemoglobin is one of the most important parts of your blood. You should maintain hemoglobin levels in your blood. Hemoglobin level should 12 to 16 grams for adult women every 100ml of blood and 14 to 18 grams for adult men. If your hemoglobin level falls down you may feel many-body problems like headaches, weakness, fatigue, shortness of breath, dizziness, rapid heartbeat, and poor appetite. This is about hemoglobin and how we will discuss how to increase hemoglobin level quickly. Eat more iron contains foods: Due to low iron our hemoglobin level decrease. Different age category needs different types of nutrients. Experts say adult male needs 8mg in a day and women age between 18 to 50 needs 18mg in a day. Tops iron contains foods here. 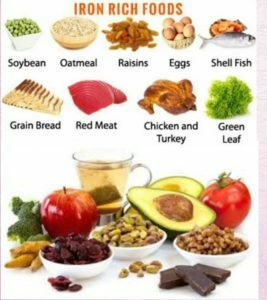 Boost Folic Acid ingestion: Folic acid needs to make red blood cells and it increases low level of hemoglobin in our blood. For increasing low hemoglobin you should eat green and leafy vegetables, wheat germ, banana, chicken liver, and peanuts. Highly recommended by an expert that is beetroot to increase red blood cell in our body. Take more vitamin C: Vitamin C helps us to improve our immune system and fight off illness. It also helps us to increase our hemoglobin here are 12 foods which contain more vitamin C so you can increase hemoglobin level quickly. Exercise helps to increase hemoglobin: when you will do exercise it produces more hemoglobin in your body and many other benefits of exercise on health. Eat healthily and focus on your diet take well as I mentioned before it will definitely help you. Eat an Apple (or Pomegranate) a Day: Apple contains rich amount of iron and health friendly which helps to increase hemoglobin level quickly. You can either eat or one apple or make it juice and drink it. Nettle Tea: Drink nettle tea it is the good source of C Vitamins, Vitamins B, iron which is most important to increase hemoglobin level quickly. It is very easy to make nettle tea just add 2 teaspoons of dried nettle leaves in one cup of hot water and then steep it for 10 min. You can little honey it will good for you to increase hemoglobin level quickly. Drink twice a day. 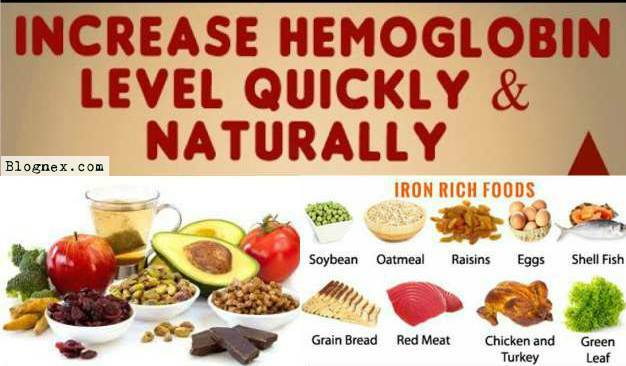 Avoid iron blockers: you must avoid iron blockers if you have low hemoglobin level give your body more iron as much it need don’t block your iron. Here are some examples which block iron in your body because of that you cannot increase hemoglobin level quickly. In the end, I will say if you follow these steps in your daily routine you can increase your hemoglobin level. Live happy in life and yoga benefits for health both of them is essential in everybody life. You can read our more articles which is related to health and our daily life. Your happiness matters to us. not the one strategy to worship.? Daddy stated, maybe to make Larry stop singing.